Could the B-EMUs be what the Manukau South Link needed? With the news Auckland Council is to commit to 17 new battery-powered Electric Multiple Units (B-EMUs) (aka the same electric trains we have now but with big batteries to run between Papakura and Pukekohe) (see: Auckland Council to Decide on New Trains to Cater for Southern Auckland Growth) a comment on service patterns did come up. The B-EMUs despite having batteries in them are designed to serve the entire metro rail network from Pukekohe to Swanson with the battery units giving the 17 new units that reach to Pukekohe which does not have the wires yet (and will not until 2025). That said you probably do not want your B-EMUs too far away from Pukekohe so containing them as such pre City Rail Link (due to open 2023) to the Southern Line and possibly the Eastern Line would be the most prudent idea. Now I have mentioned the Manukau South Link so where does this fit with the B-EMU trains. Transport Planner Stu Donovan who writes for Greater Auckland suggested that the B-EMUs be used to run from Pukekohe to Manukau outside the peaks while a direct Pukekohe to Britomart express service (with a stop at Papakura and Otahuhu most likely) would occur in the morning and the reverse in the evening. 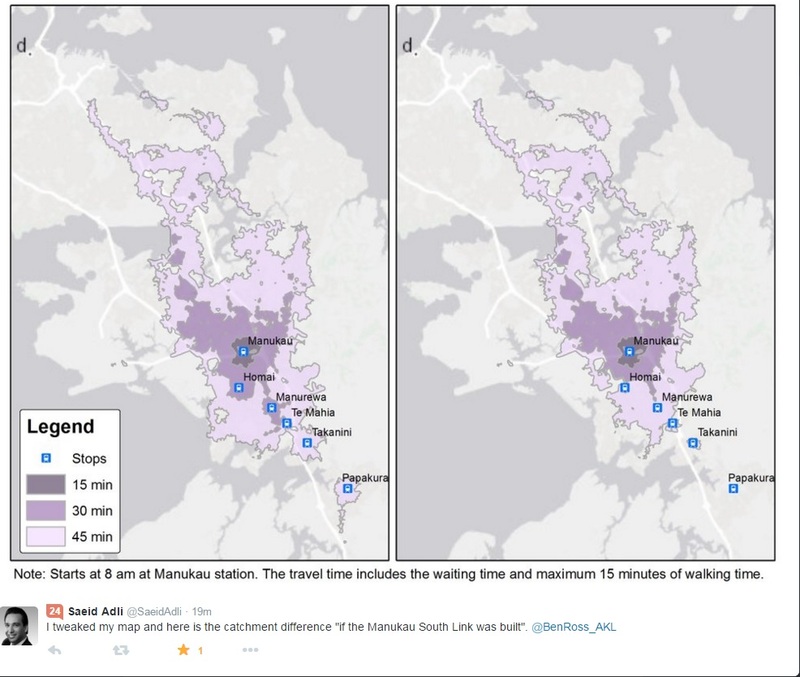 Given the constraints at Britomart pre-CRL and the fact the South commutes within itself (for the most part) running Pukekohe to Manukau every 15 minutes outside of the peak is not an idea that should be dismissed. Yes this does mean building the Manukau South Link to allow direct services from Pukekohe and Papakura to Manukau Station return eliminating the need for a cumbersome transfer at Puhinui. Trip time would be 14 minutes from Papakura to Manukau while add another 15 minutes going to Pukekohe. The bus is at least 33 minutes from Papakura to Manukau and the car can range anywhere between 10 minutes to 30 minutes from Takanini to Manukau depending on conditions. Auckland Transport have also stated they would like 80% of Southern Auckland commuters not to go further north than Manukau or the Airport. However, Auckland Transport future transport program does not exactly support this (they use busses) where as the Manukau South Link would support such a scheme. The catchment increases with the Manukau South Link. Auckland Transport have been asked to model the Manukau South Link before but say it is too hard with the Inland Port supposedly in the road. Given there are more complex junctions overseas handling more traffic than the Southern Line would ever handle I think Auckland Transport need to be a bit more creative here. As for port traffic Port of Auckland typical conducts their freight shuttling at night to avoid conflicts with passenger train traffic so the shuttles do not present the issue with conflicts. Ironically in that post I did say the South Link was shelved but would be back – most likely when the Auckland Plan was being refreshed in 2017 (aka now). All-in-all when looking back at that post the ducks have since lined up with the B-EMU being the final duck needing to be lined up. The 17 new B-EMUs gives an extra capacity of 6,375 passenger to the existing 21,375 capacity already available with the 57 EMUs we currently have. 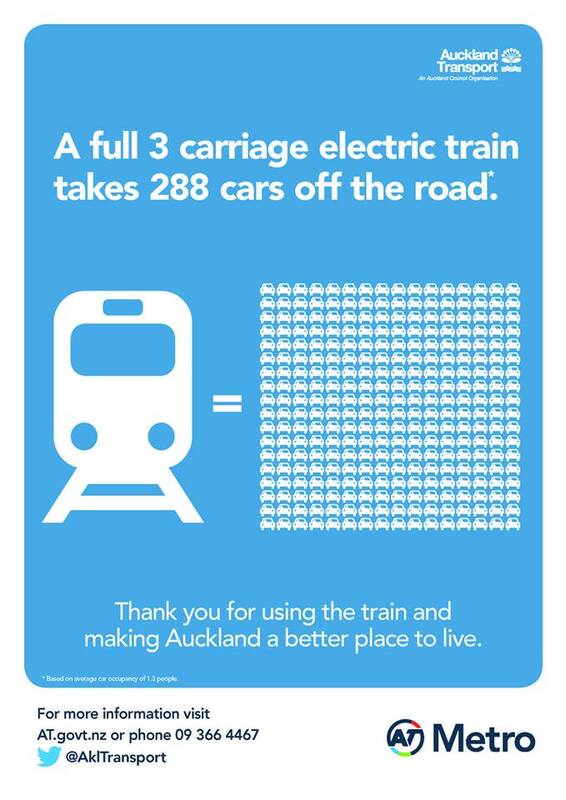 If we were to run a standard 3-car B-EMU between Pukekohe and Manukau every 15 minutes (four trains an hour) we have capacity at a rate of 1,500 passengers an hour heading in and out of Manukau to go south (double if running 6-car sets). The question becomes is that enough capacity, not enough or too much capacity? 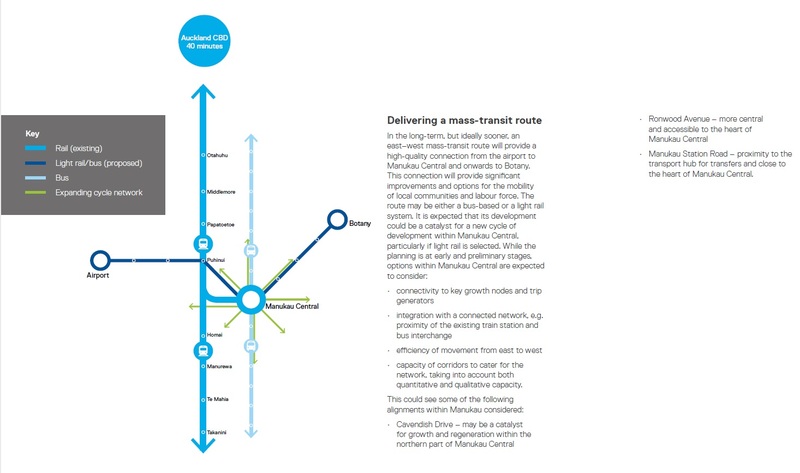 Given Takanini to Pukekohe is the fastest growing residential/population growth area outside of the City Centre coupled with Transform Manukau by Panuku Development Auckland, 1,500 passenger per hour capacity in and out of Manukau City Centre going south would be enough for at least until the City Rail Link goes live. Remember Papakura to Manukau in 14 minutes via the South Link is the fastest way to get to South Auckland’s core reliably (the Southern Motorway is not reliable) so the level of service and the speed compared to alternatives makes the service attractive from go. As for Puhinui I have never been a fan of the transfer at Puhinui for Papakura to Manukau services owing to the amount of back tracking done to get to the Manukau Branch Line from Puhinui. In any case Puhinui Station is not going to be in a position to support transfer traffic from the South to Manukau (and vice versa) as the Southern Airport Line (Airport to Manukau via Puhinui) draws nearer. Puhinui will be busy handling transfer traffic from the Southern Line to the Airport Line including inter-city traffic. Moving the Manukau-South traffic away with the Manukau South Link would be prudent. For more on Puhinui see: Puhinui Station in Need of Four Platforms. 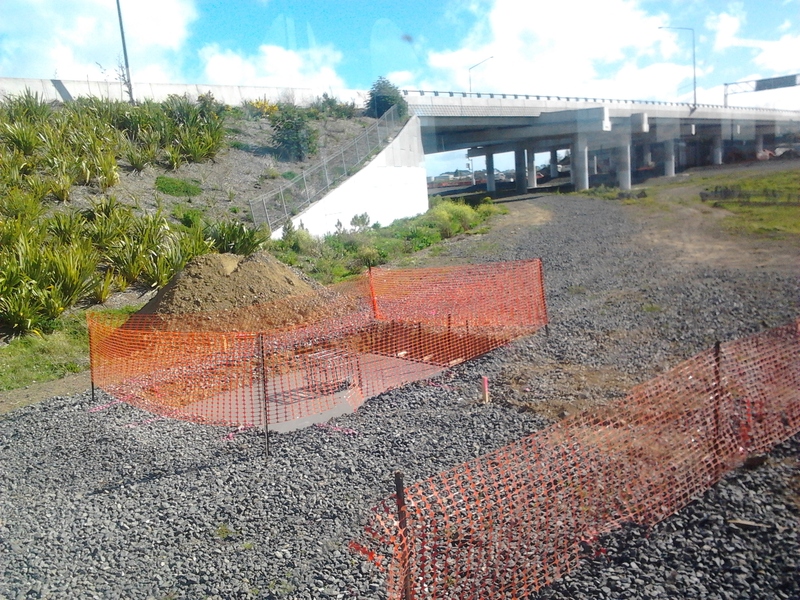 The cost for the Manukau South Link is about $6m for track work and signalling. A small price to pay (when covered by a Targeted Rate to fund the outlay) for improving the access between Southern Auckland’s residents and its commercial/civc core – that is Manukau. Time to get moving I say.